It’s time to show us how you “I DIYed That” again- not just for bloggers, but for non-bloggers too! 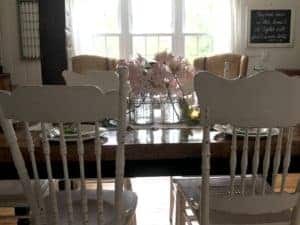 Jen shared how she painted knotty pine and transformed her hutch. 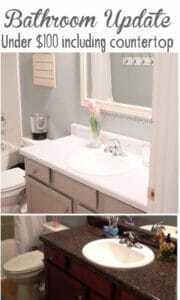 Lindsey shared how to update a bathroom for UNDER $100 including DIY Faux marble countertops. Leigh shared a simple spring tablescape and some behind the scenes secrets. 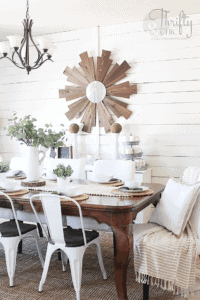 Laura shares how to paint natural wood paneling! 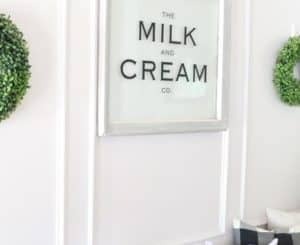 Alicia shared her Summer home tour! The first feature is from the account @paisleyandwilliam on Instagram. She shares how she DIYed this bench all on her own. We love it and it looks amazing. 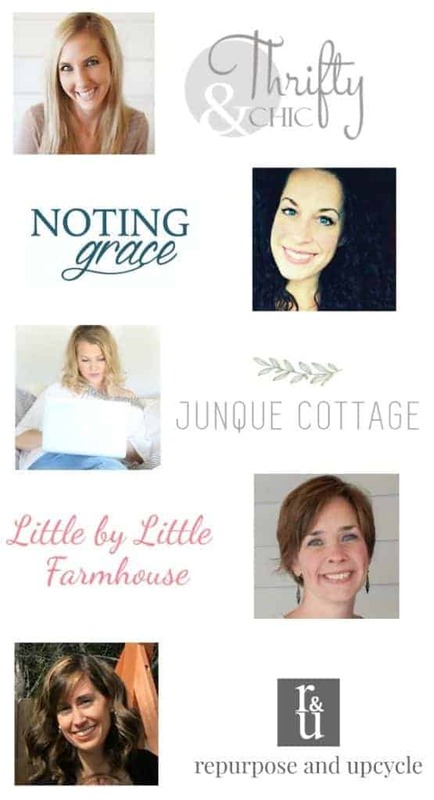 Our next feature is from the blog An Inspired Nest. 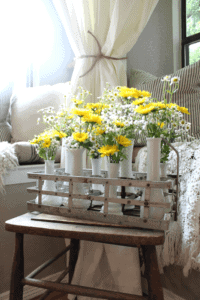 Shannon shares how she created a floral arrangement from milk glass and a milk bottle holder. Isn’t it delightful? So, how do you link up? It’s super easy!